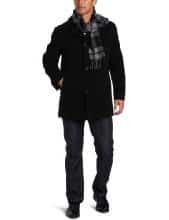 Amazon currently has a deal of the day where you can score 80% off select Men’s outerwear. You can click here to browse the selections. They have items from Kenneth Cole, Levi’s, London Fog, + more. You can also score free super saver shipping when you spend over $25. This offer is valid today, February 28, 2013 only.